Teaming with culture, finding a stay here means that you’d be in the thick of daily activity of shop keepers selling dazzling fabric, herbs and spices, flower garlands and coffee shops selling masala tea and roti. You will never grow hungry in Little India with restaurants at every corner and a majority of them opening at the break of dawn till late at night. Shop till your hearts content at Mustafa Center a 24 hour block-long behemoth stocked up with almost everything under the sun, from jewelry to food stuff, from clothing to kitchen ware. And if you have more moolah to spend, hit Bugis Village the largest street retail mall with incredible bargains. 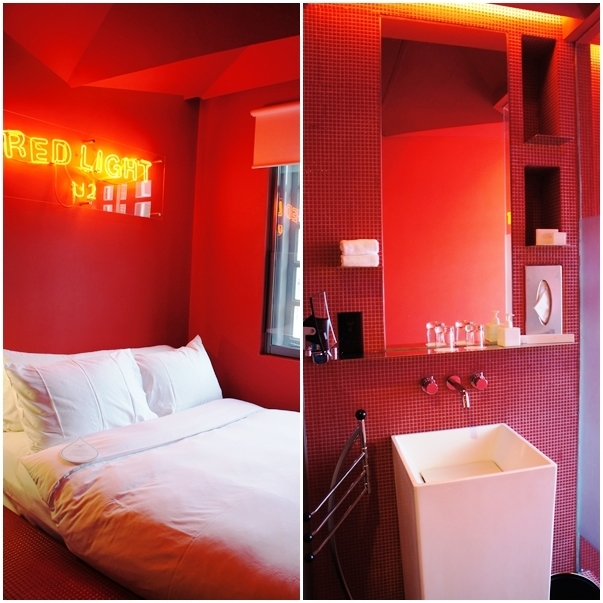 For a distinct change to spend the night, stay at Wanderlust Hotel, a creative design hotel with innovative fittings and unconventional rooms. 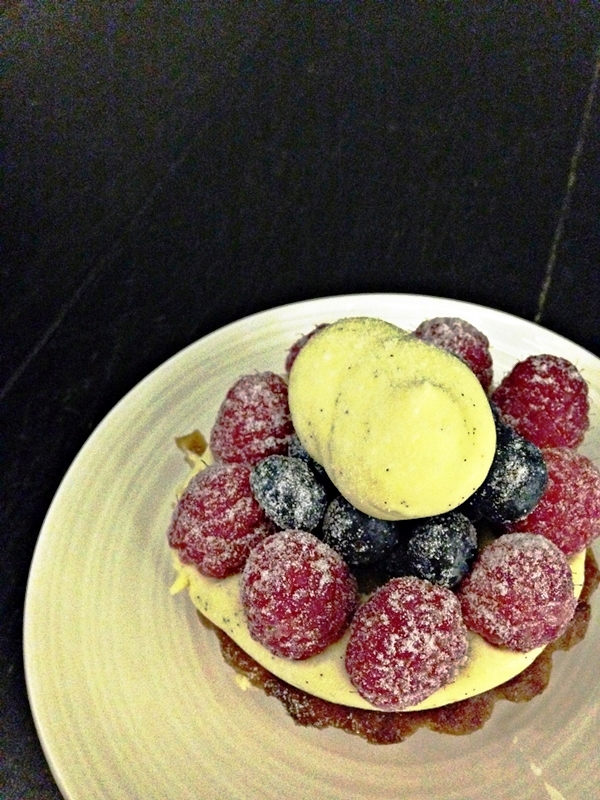 You will be rewarded with an unforgettable stay and a very hearty gourmet breakfast. Wanderlust is a 10 minute walk from the Little India MRT station or walk across the main road adjacent to the hotel to grab a bus. 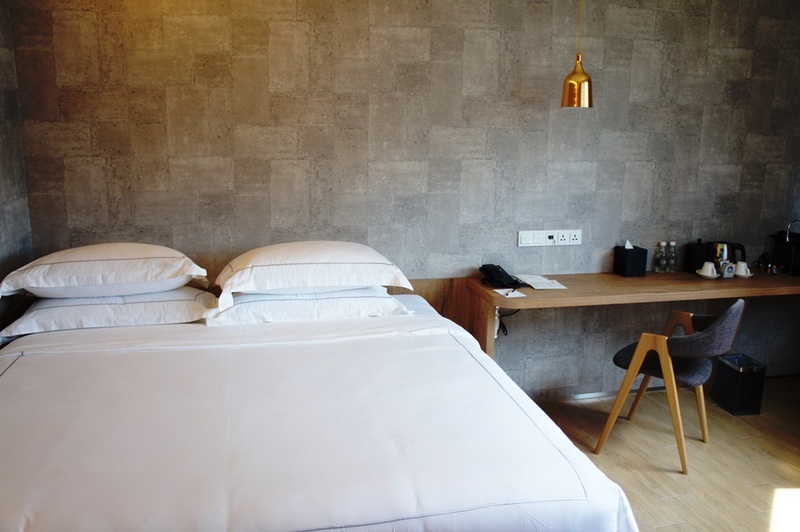 For an affordable price with comfort frills, stay at BIG Hotel, the newbie on Middle Road. This independent boutique hotel is chic and trendy in nature. Equipped with modern facilities such as an in-room Nexus 7 tablet for personal use during your stay, a fully functioning gym that opens from 6am to 12midnight and snack bar, this hotel is flocking with guests despite its recent debut. 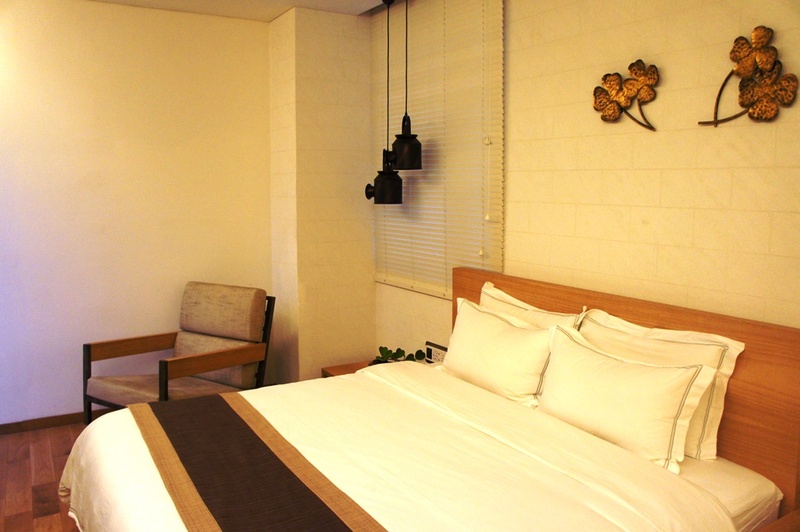 Rooms are spacious and a modern minimalist touch – the hanging lamps with gold finish gives the room a classy touch. 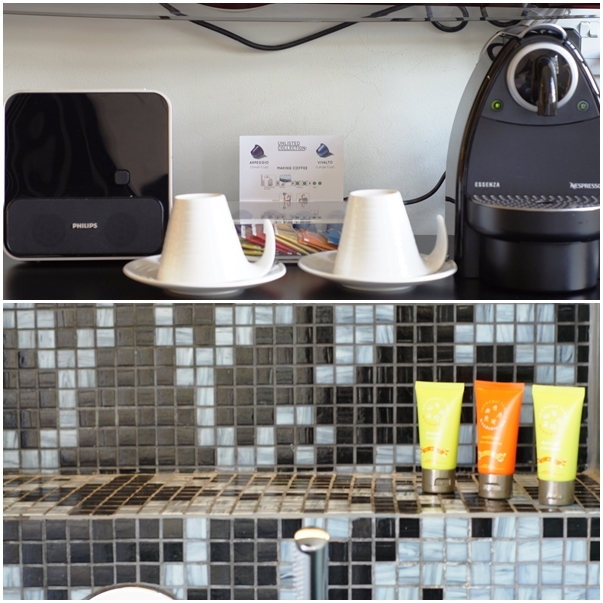 Suites come with Nespresso machines and fluffy bathrobes and on each floor water and ice dispensers are available for guests refill. Quintessential to almost every Asian city, Chinatown is famous for cheap bargains, dim sum, affordable foot massages and backpacker hostels. 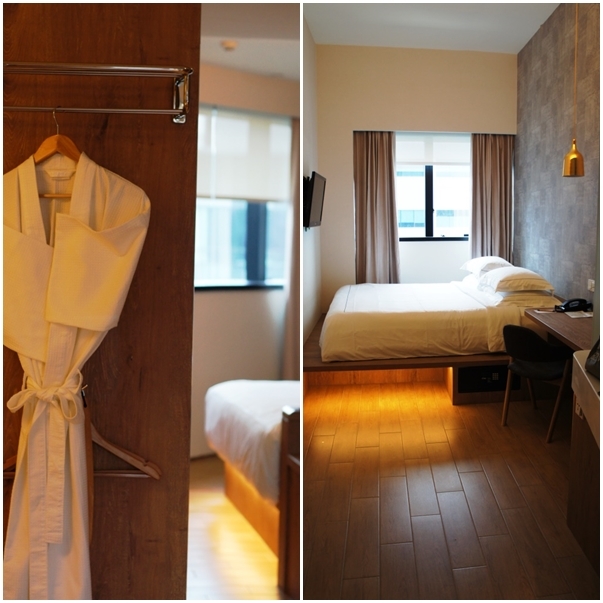 But for the business traveler who is interested in taking in buzz but looking for a simple business friendly hotel, stay at Hotel Clover 5 on Hong Kong Street just adjacent to Chinatown and right by Clarke Quay and Boat Quay. As a Malaysian, I often stumble on Malay words that mimic English words. Basikal – bicycle, music – music, komunikasi – communication and so forth. Naturally I thought the “Glam” behind Kampong Glam was indicative of the word glamourous or glamor in Malay. I thought wrong! Glam or Gelam is a type of eucalyptus that grew abundantly in that area previously and its oil were used extensively for medicinal purposes, hence the name Kampong Glam meaning “village of eucalyptus”. 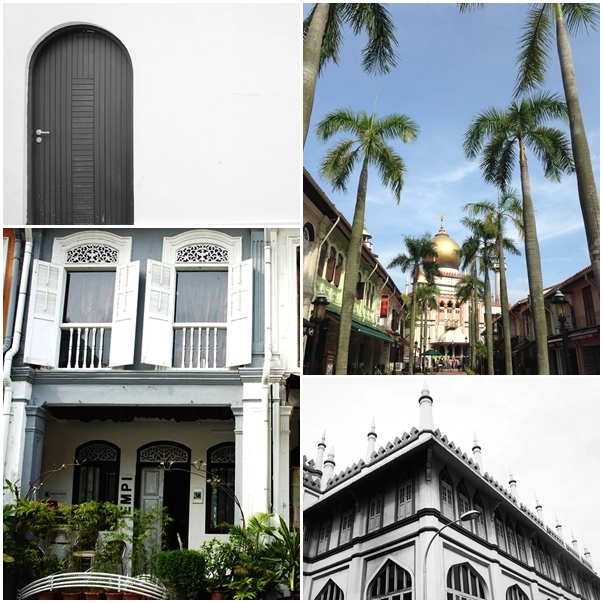 Back in the 1800s Kampong Glam was home to Singapore’s Malay aristocracy before colonial rule. This area was designated for the Sultan and his household, as well as the Malay and Arab communities, many of whom were merchants. Today, if meander the streets of Kampong Glam, you will see the original structure of the Sultan’s palace now converted into the Malay Heritage Center offering guided tours to visitors. The area was very popular with Arab traders and truly, they have left their mark long after the trading years seen in the textile shops, sweet smelling perfume parlours and shisha joints. Yet, what makes Kampong Glam a thriving hub of cultures is the multi-ethnic communities developed here, comprising not only Malays and Arabs but also the Chinese and Indians. Kampong Glam received a facelift and was restored and refurbished recently. 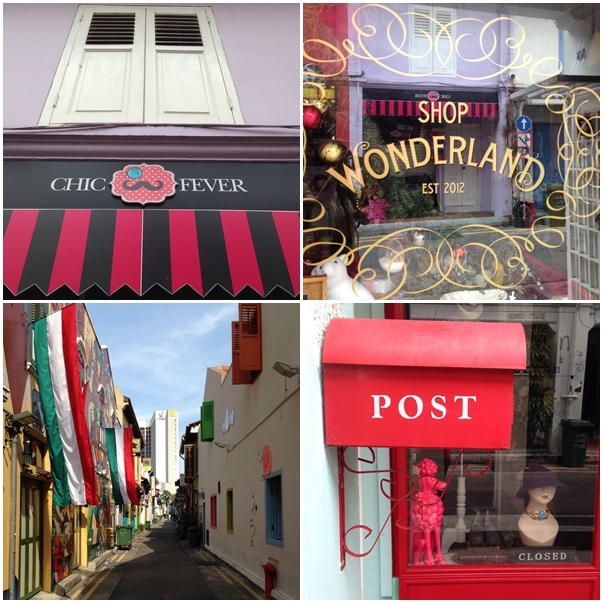 Rows of conserved shop houses have now transformed in to chic cafes, art galleries, boutiques, curios shops and restaurants. They blend in with traditional businesses like perfume parlours, textile and carpet shops, blacksmiths and shops selling religious items used by Muslims. The area is a great place to eat and explore, tucked nicely away from much of the bustle of the city centre. Stroll around its famous textile shops, and check out the stores selling jewellery and rattan furniture. Make a beeline through groovy Haji Lane hopping from one boutique to another and later stop at any one of the cafes for a break. 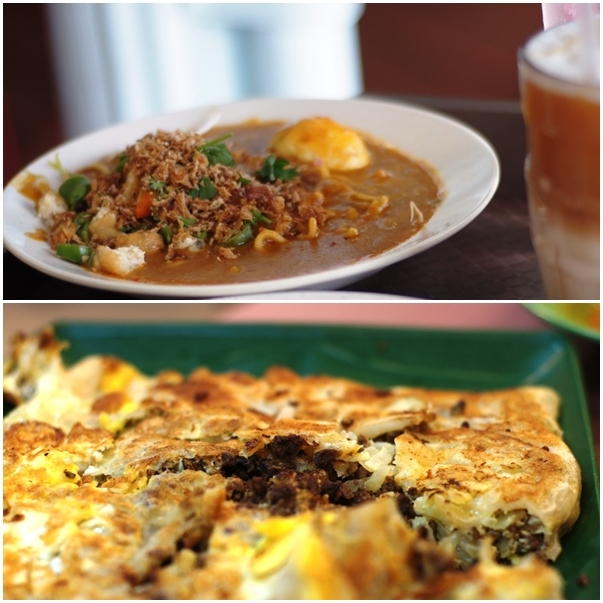 Try Maison Ikkoku coffee or brunch, take-away fluffy swiss rolls at Rich and Good Cake Shop on Arab Street, slurp on mee rebus at Kampong Glam Café on Rocher Street or tuck into a hearty murtabak (meat pancake) at Singapore Zam Zam Restaurant. Traversed back into time where bullock carts and gunny sacks were used to transport goods and spices and oil lamps hung on tradesmen’s arms as they walked the streets. 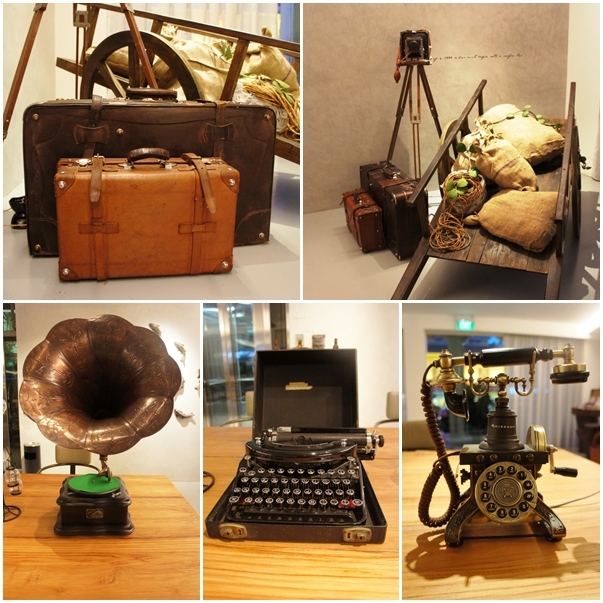 Reminiscent the era where analog dial phones, gramophones and clacking typewriters were used to communicate or the days when heavy steel sewing machines and bulky cast irons were used in households. 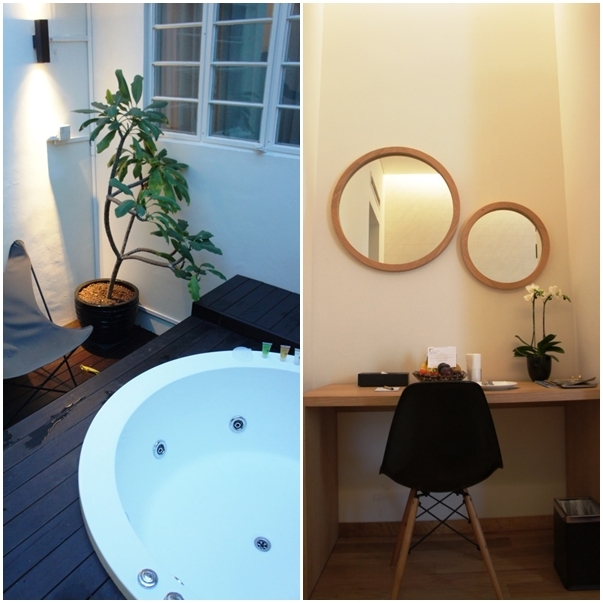 Hotel Clover 769, the new boutique hotel on North Bridge Road is a row of 2-storey refurbished conserved shophouse designed to showcase the colonial era in all its simplicity and understated glory. The rooms are cosy with white, brown and beige muted hues and fittings are minimalist drawing focus on handpicked features such as oil lamps on the bedside and hanging camera lights from the ceiling. 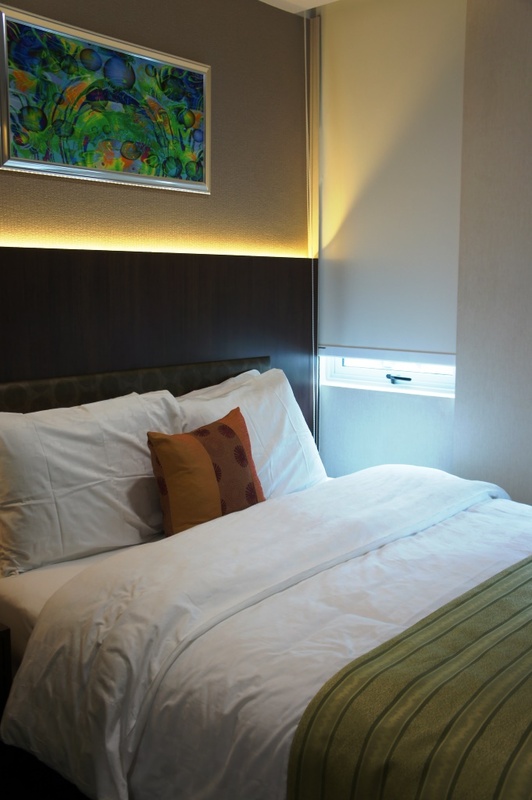 The 27 room hotel boasts of two suites with an open air Jacuzzi popular with Singaporean staycationers. Proud of its heritage, this row of conserved shop house is still decked with Chinese words and former sign boards on the building’s exterior. 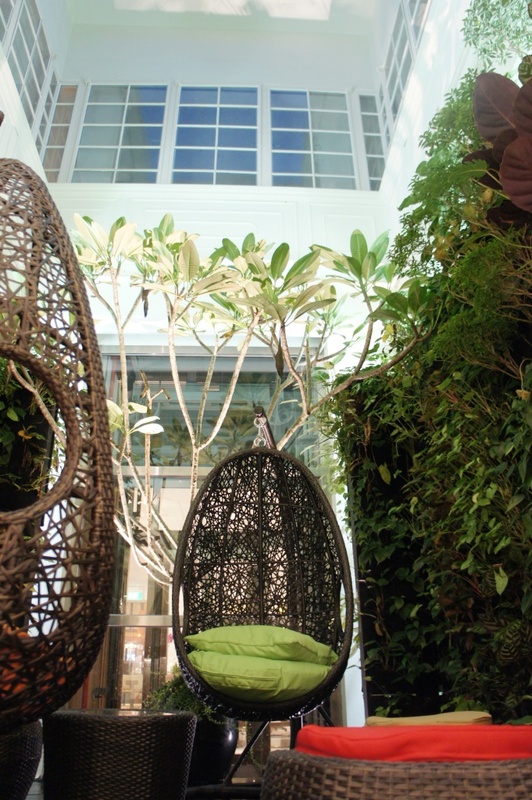 Within the hotel, you will also find a quiet recluse in the open air well area that has been transformed into a refreshing courtyard with lush vertical gardens hanging over top and lazy rattan swings perfect for a midday unwind. Everything shouts deviant from the moment you enter the sliding glass doors of Wanderlust Hotel. Every form, shape and function that you would expect to see in a hotel lobby takes on a whole new character. Old leather-bound barber chairs, a foosball table, old fashioned strobe lights and a suitcase over flowing with coiled pipes and two eyes made out of bowls staring at you, is not the kind of welcome you would expect. This sense of peculiarity soon turns into curiosity and wonder. 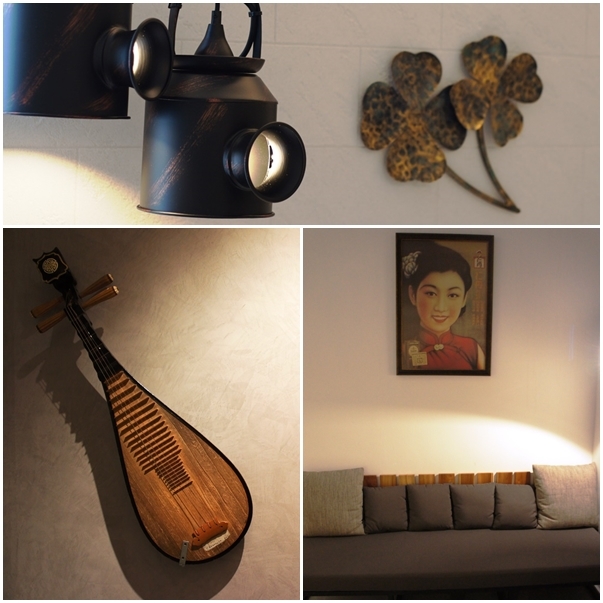 It was my first visit to a member of the Design Hotels Collection. I was eager to uncover the story of Wanderlust from the time I heard about it – the name itself perked my interest. I could barely stop myself from being distracted by the copious funky furniture as the front desk staff went through the regularities of checking me in. The story of Wanderlust is a whirlwind, so continue if you’re up for a thrilling read. Wanderlust is the brainchild of Loh Lik Peng, a self-made hotelier and restaurateur, ‘Peng’ as he would prefer to be called is a dare devil in the tourism scene. 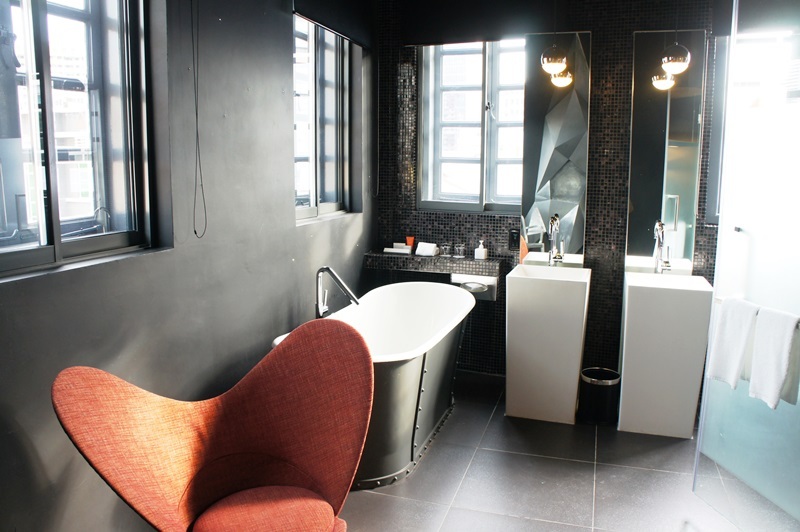 It all started in 2003 when Peng bought over a former brothel in the red-light district of Singapore’s Chinatown and transformed it into what was then known as the first boutique hotel in Singapore – Hotel 1929. Boutique or designer hotels were unheard of at that time and Singapore’s tourism scene was just booming. 1929 took off on a great start and three years later, the New Majestic joined the hotel series. The latter is an up-market boutique hotel with 30 individually designed rooms enough to keep guests returning for another inquisitive stay. Once Hotel Majestic was up on its feet, it was time for another hotel project. By this time, Peng was already known to push boundaries of conventional middling hotels. 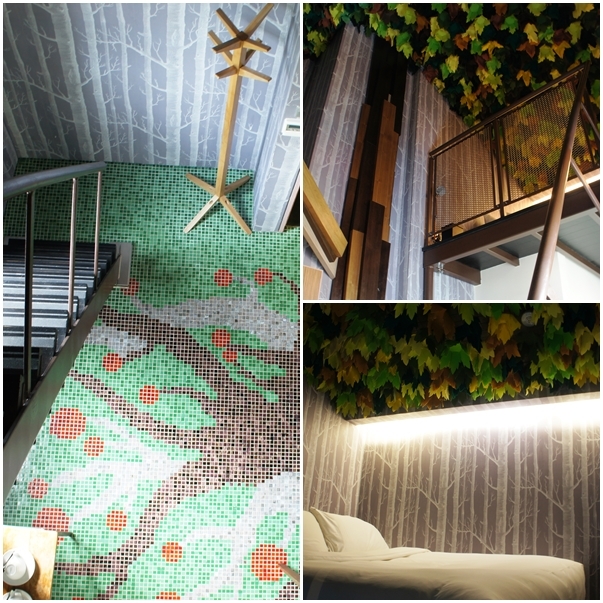 The question was, “Which building and what concept was Peng going to take with this new project?” When the call was made to design Wanderlust, Peng basically said, “Go crazy!” The hotel was conceptualized by teams of creative designers who had no prior experience in interior designing. It was a designer’s dream come true – with a blank canvas and the opportunity to work across industries. Wanderlust embodies a fun, creative and deviant living space. It’s a holiday escape that will entertain your wildest imagination. Occupying a row of four storey shop lots, the hotel is a re-furbished old school originally built in the 1920s. The outer façade holds an accented whimsical look while retaining the historical architecture with stained glass peep-through windows and ceramic tiles. 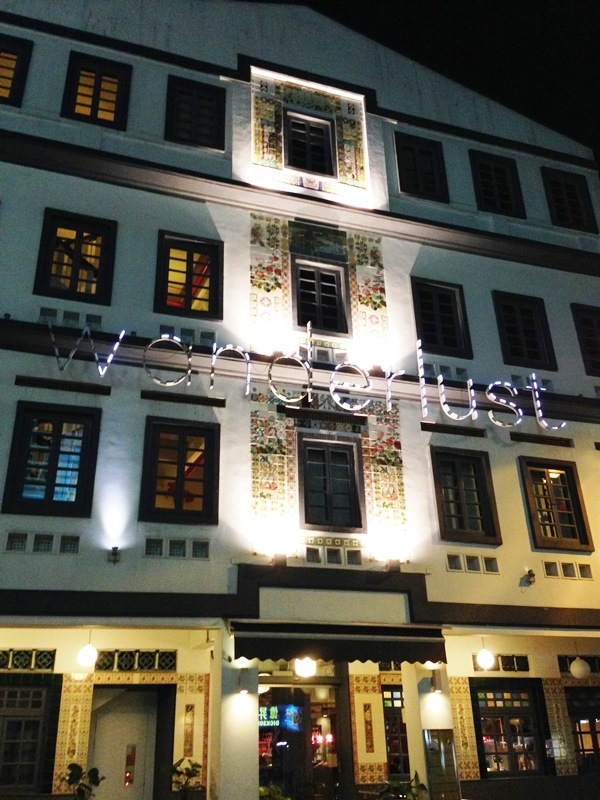 Despite its eccentric interior, the hotel fits nicely into Little India’s bustling scene. No two rooms are identical. Each features the innovative and creative freedom achieved by the designers. 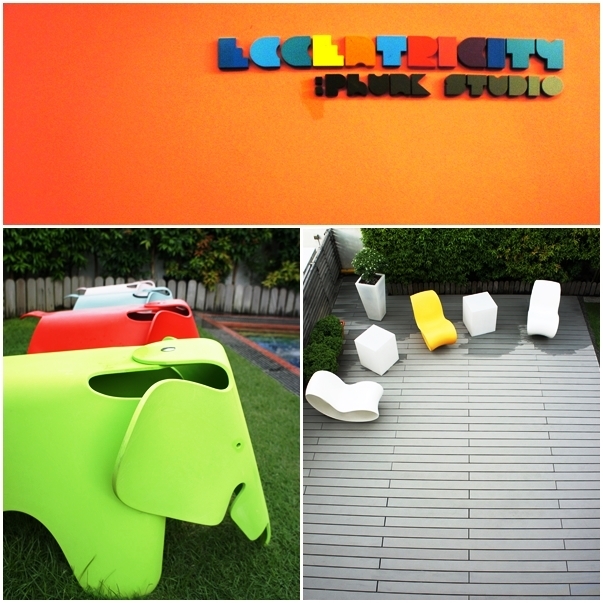 The lift opened to a bright orange wall with colourful cubed words – “Eccentricity – Phunk Studio” on the 2nd floor. Every door is painted a different solid colour and the same colour follows through into the interiors of the room. With a fairly small space to manoeuvre, the capsule-like rooms on the 2nd floor demonstrates smart use of space with hidden storage spaces and clever configurations. A mood affecter, this floor definitely dabbles with your disposition depending on the colour of your room. 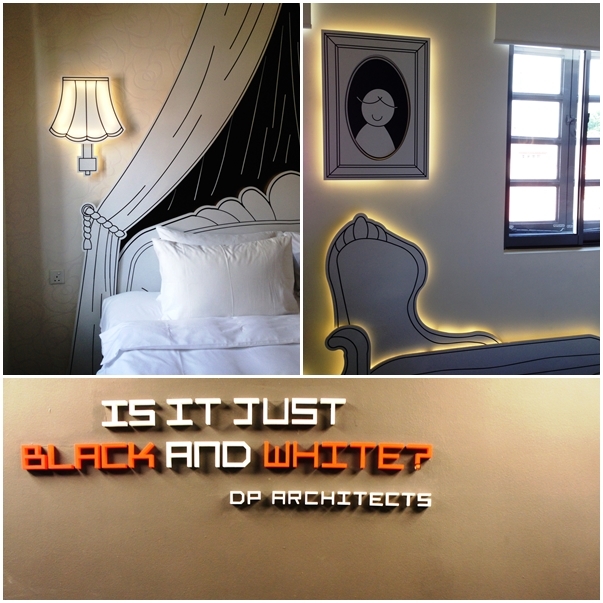 The 3rd floor takes on a different appeal with black washed walls and a prodding question staring right at you, “Is it just black and white?” by DP Aarchitects. 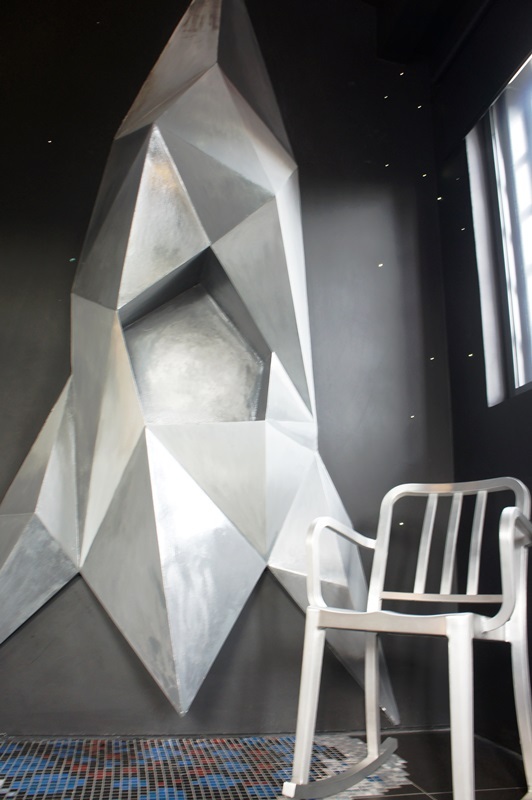 Imagine peeling walls resembling origami paper and larger than life pop-art with glowing neon lights in your room. 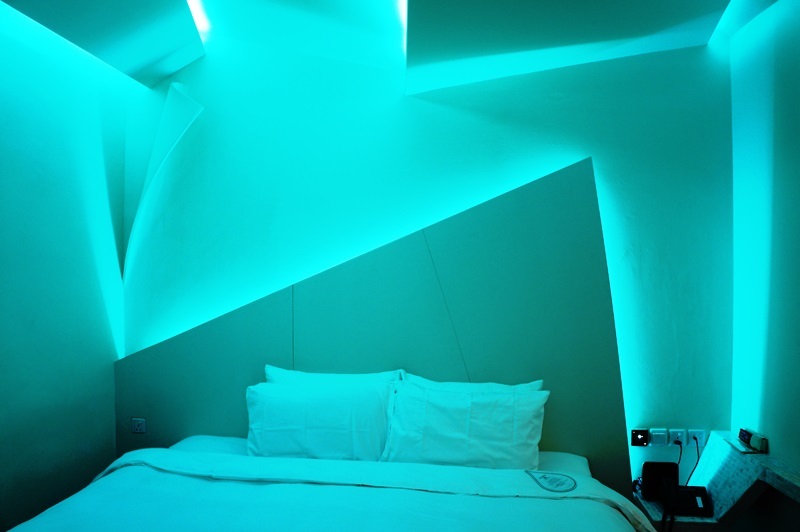 Predominantly in a white theme, the Origami rooms come to life with special lighting glowing from behind paper-like folds on the wall and the Pop-Art rooms are animated with stylish cartoon pop-arts. Finally, if you hit the 4th floor of Wanderlust, it is quite certain that your stay will be the most, if not one of the most bizarre hotel stays – ever. A glamourous hallway with grand steel lamps hanging overhead and in cursive words, “Creature Comforts – fFurious” greets you. This floor features loft rooms in five varying themes and the idea of having a friendly ‘monster’ accompanying you on holiday. These ‘monsters’ are in the form of a spaceship, a whimsical tree, a gigantic typewriter or a massive wall giant. The massive king-size bed on the split level is perhaps the only ordinary furniture in these rooms. 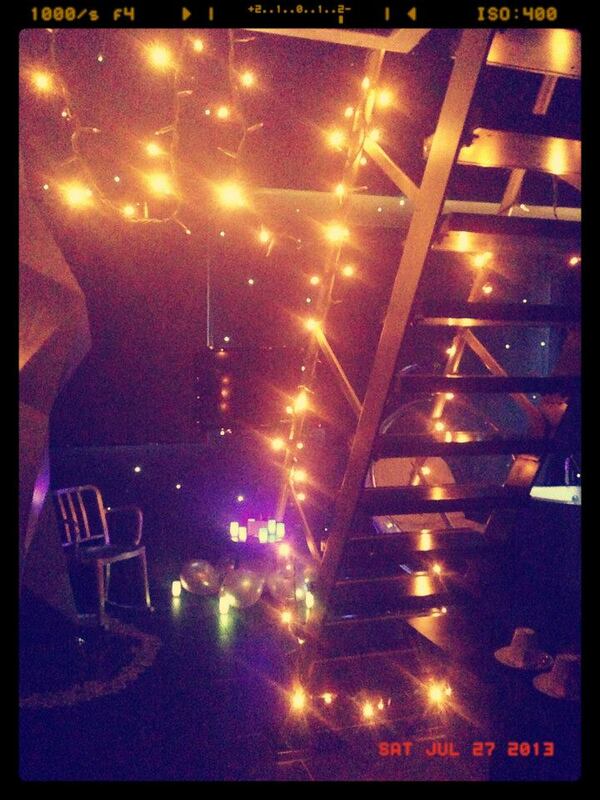 Everything is styled to fit the theme from tiled pictured flooring of the tree roots to the scattered stars comprising of mini LED lights on the black washed wall in the spaceship themed room. This floor truly is a wanderers dream comes true. Despite its unconventional hotel look, the hotel doesn’t skim on comfort for guests. Each room comes with extremely soft and plush beds, huggable cotton robes, an ipod dock, designer amenities, free minibar, fine teas and your very own Nespresso machine to make a good cup of gourmet coffee. You are encouraged to venture out of your hotel room. Guests are given a handy passport-like book upon check-in. This cool momento gives useful information about the hotel and serves as a helpful city guide with MRT routes and a map of Little India. It also has recommendations for best places to eat, drink and shop. 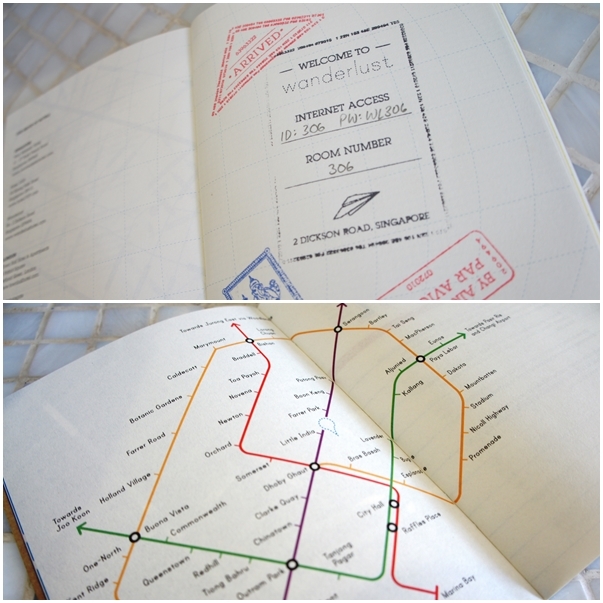 Best part is that the book contains several empty pages for travel scribbles! 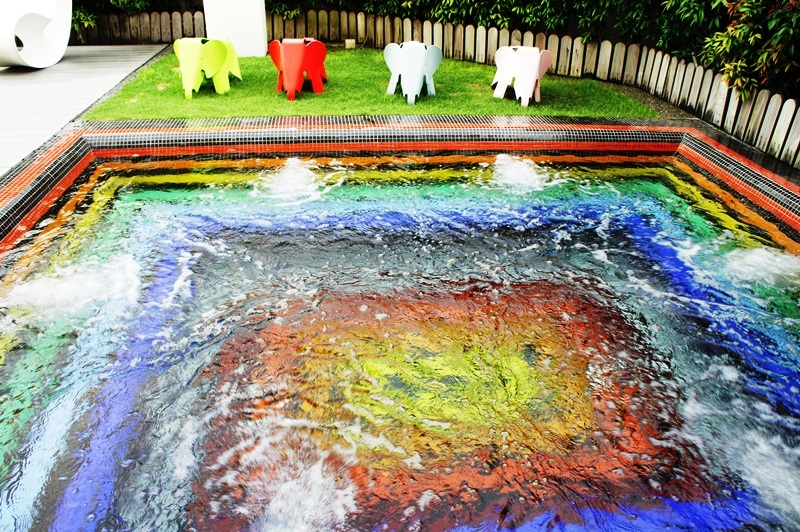 On a hot afternoon, lounge on the open deck on 2nd floor in the rainbow tiled Jacuzzi. The bright rainbow tiles and playful furniture is ideal for anyone who’s up for some serious sun soaking. 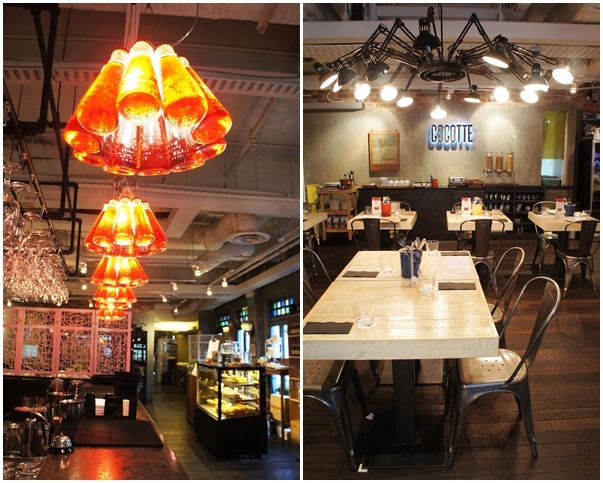 Or dive into a hearty lunch plate at Cocotte, the hotel’s very own cozy café. Cocotte is an affirmation of the hotel’s adage – an unlikely restaurant in the most improbable place; a French restaurant in the heart of heritage Little India, where curries, tandoori and briyani overflow. How deviant is that?! 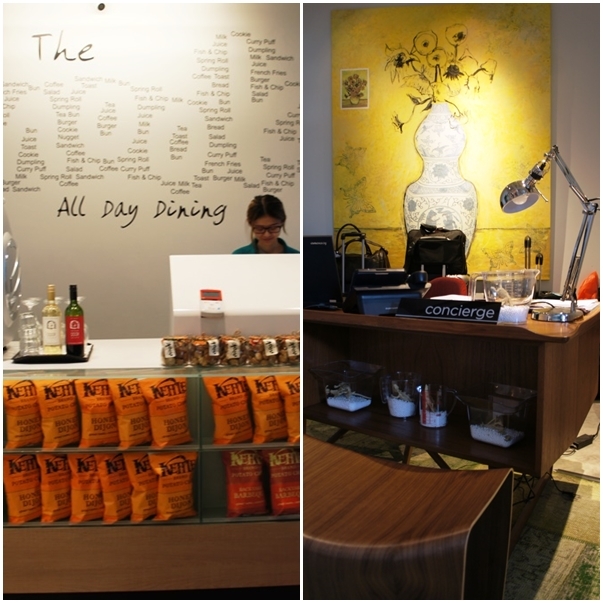 Boutique hotels are not just about design, but service. Find out what makes the Unlisted Collection hotels stand out. Let’s go! 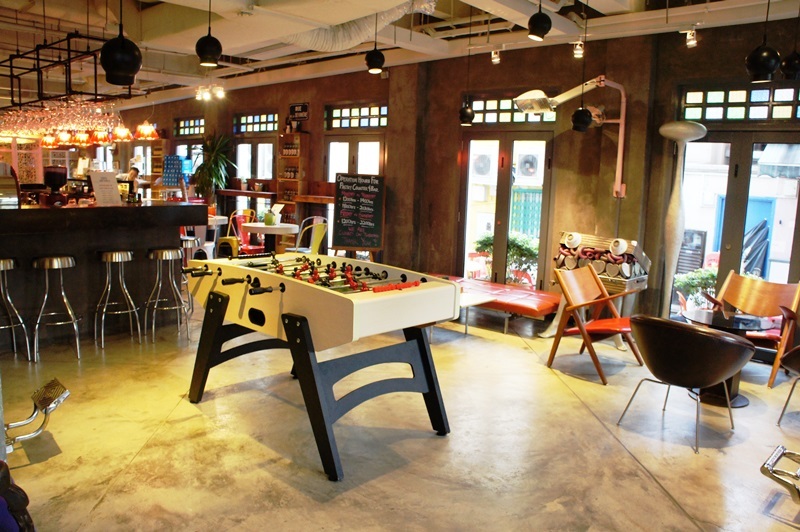 A string of independent boutique hotels have surfaced in the light of Singapore’s booming tourism. The Unlisted Collection is made up of three unique boutique hotels, 1929, New Majestic and Wanderlust including a handful of boutique hotels in Shanghai and London. The owner Loh Lik Peng pushes conventional hotel norms when it comes to giving guests an unforgettable experience. I asked Mae Noor, Head of Branding & Communications about their distinct edge and she immediately told me, “It’s got to be our people!” Recently Shawn Chan joined their vibrant team as Guest Ambassador, a position I’ve never heard about. I was curious to find out what he does and if he’s really got the magic touch to make holidays unforgettable. Here’s my conversation with him. Ardent Traveler (AT): You have a very unique job, one that many would flock to have! So tell me what’s a typical day at work for you? Shaun Chan (SC): A typical day would involve checking out new hidden attractions in Singapore, be it new restaurants, retail spaces, nightspots, trawling the internet for any new or upcoming events happening around the island. After clearing some paperwork, I’d ensure all guest’s amenities are distributed to the respective hotels for the day before going out for Inside Access appointments. I’d round off the day after working out the itineraries for the guests I met earlier. AT: What do you love most about job? SC: I love that I get to meet and interact with people from all different parts of the world, to exchange historical and cultural knowledge with my guests, and when I assist guests with special requests to put on decorations in the room during special occasions! AT: Any unforgettable moments you’ve encountered / people you’ve met? SC: Having witness a successful wedding proposal, the guest and his family members were very appreciative towards the effort I spent on decorating. AT: So I heard you are a decorator too… that’s quite unheard of in the hospitality line. Tell me a bit about it. 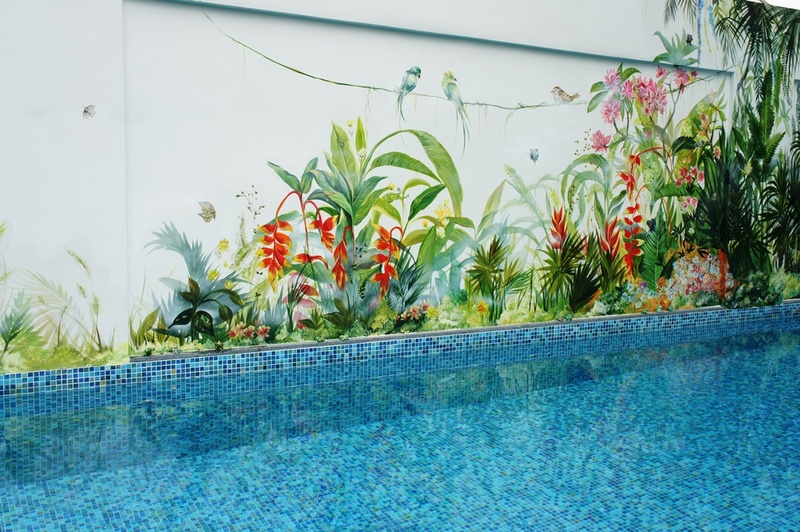 SC: Decorating the rooms is one of the best ways to enhance the guests’ experience during their stay. They’d tell me their preference, room theme, and I will help by adding simple items like, LED candle lights, paper hearts, etc. SC: Lau Pat Sat! To be able to enjoy local food that has been passed down from generation to generation, along with the company of a live band – totally awesome experience! SC: I would like to say Emerald Hill’s No.5 Cocktail Bar. Surrounded by the authentic set up of Emerald Hill shophouses, along with free flow of peanuts and best chicken wings ever, it’s one of the places which I strongly recommend my guests for a drink or two. SC: Bugis Street! There are no other places in Singapore that sells nice and cheap stuff, plus you can bargain too. SC: That will be the Marina Bay Sands Skypark for the best view of Singapore, Arab Street to shop for clothes and wares by local designers and Ann Siang Hill for snippets of the bar culture in Singapore amidst the many old shophouses surrounding the area. You can end the night at Maxwell Food Centre, best chicken rice in town! SC: Level 30 Buffalo wings from Sunset Grill and Pub! This is one of Singapore’s best kept secret when it was at the Old Seletar Air Base. A little out of reach but such a gem. It’s now moved to Jalan Kayu and STILL hard to find! Complete level 30 and go up on their wall of fame. Not many can. 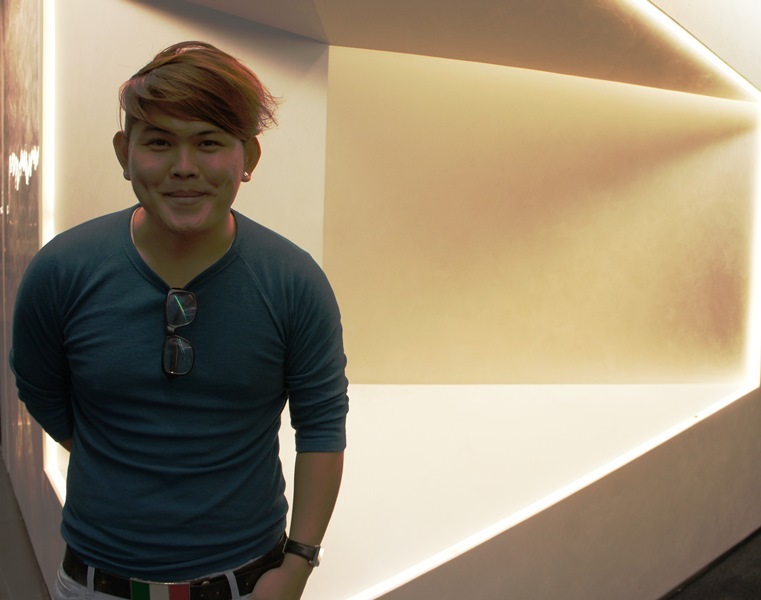 AT: Thanks Shawn for the very insightful chat on the nooks and cranny’s of Singapore’s best.